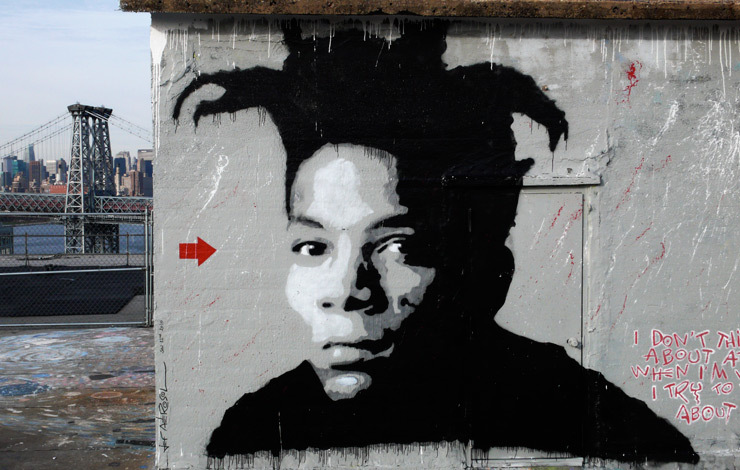 Remember when we were with French stencil pioneer Jef Aerosol on a Brooklyn roof back in January ’10 where he created a portrait of Jean-Michel Basquiat? 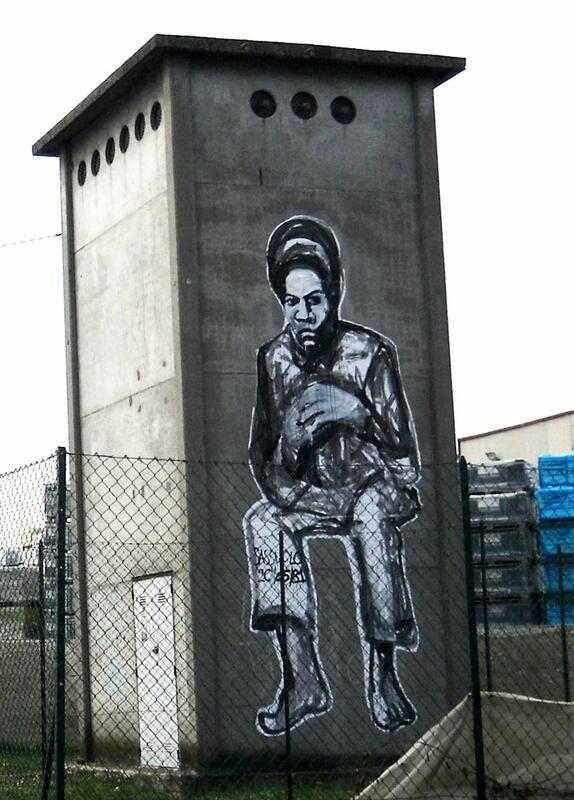 His influence has continued unabated among some Street Artists who talk with us today. When you travel around the world meeting different folks on the Street Art and graffiti scene you’ll get an idea of the impact that the New York downtown/uptown/train painting scene of the 1970s and 1980s had and continues to have on the imagination – from Millenials who were weened on MTV to Boomers who watched it evolve in real time. Jean-Michel Basquiat stands as a composite of what the scene looked like and what it became – possibly because he straddled the pronounced demarcation between graffiti/Street Art/fine art so well, in a way that allowed them to compliment each other. It didn’t hurt that he had a great sense of personal style, an underlying defiance of anyone’s attempt to label him, and an innate political sense of who to hang with and how to garner attention. 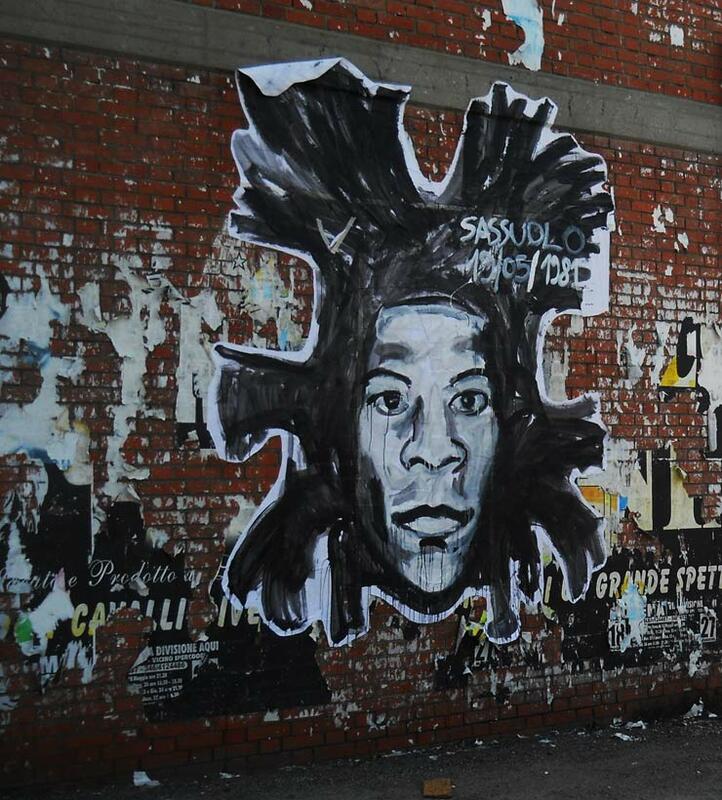 Brooklyn’s Basquiat happened to be in New York when the artist community hotbed of performance, experimentation and avant-garde was bubbling in lower Manhattan, coinciding with a growing celebrity culture, cheap rents, and the ever-more affordable tools of audio and video that could capture the shenanigans. A bubble on Wall Street helped provide the fuel. Without simplifying his impact personally and as an artist, a danger of repeated storytelling that reduces people’s complex lives to smooth cornered app icons to poke, let’s just say that the image of Basquiat still inspires many artists around the world. 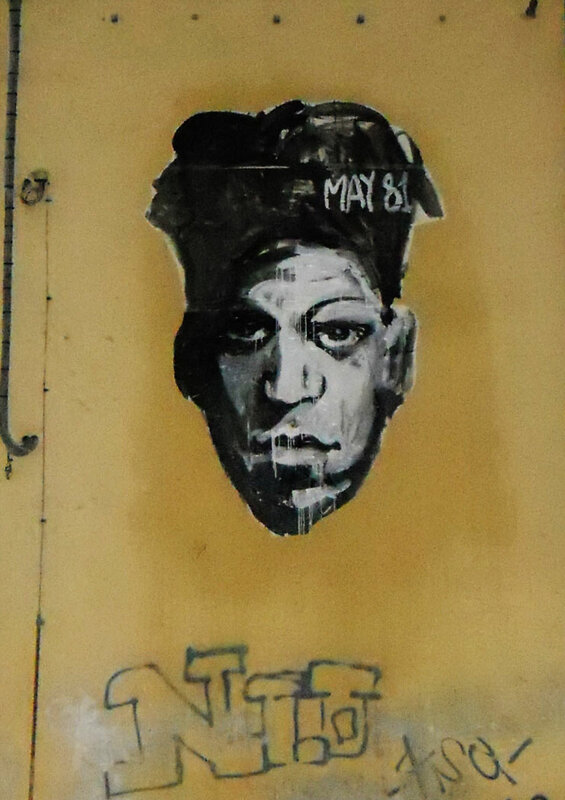 Today we take a look at a Basquiat tribute on the streets in the northern Italian city of Sassuolo, where Basquiat made an impact just by visiting in the spring of 1981. Street Artist collective FX just completed a small series of installations around this city of about 40,000 to commemorate that visit, which FX says was big news for a lot of people in a way that would not have necessarily impressed a larger metropolis. 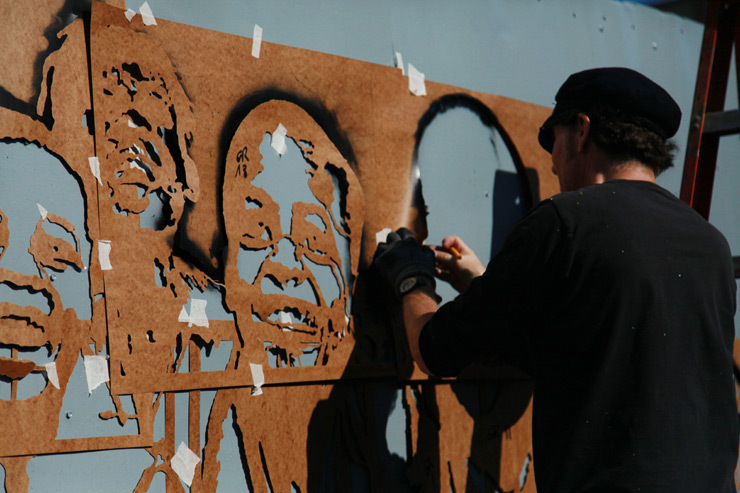 With stickers and hand painted posters FX brings the ghost of that visit to the streets – until the rain and wind washes it away. Thanks to FX for sharing these images with BSA readers. 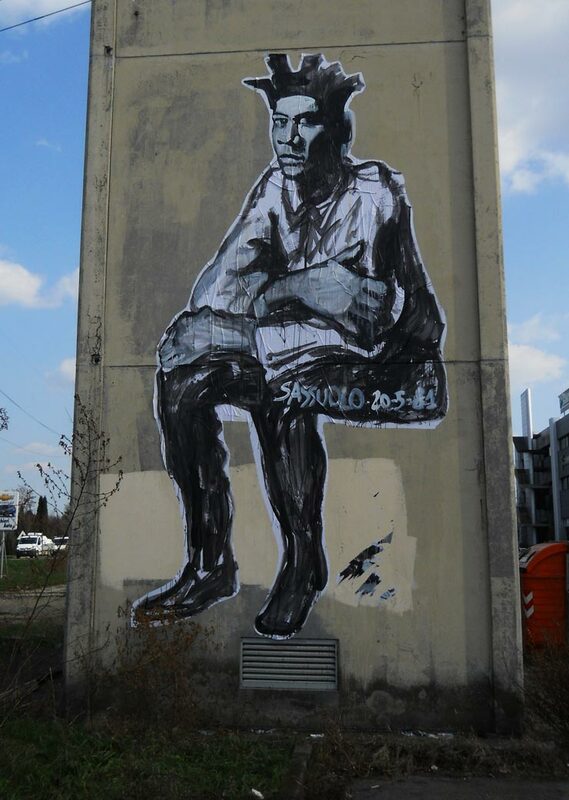 Jef Aerosol in NYC, "Black is Beautiful"